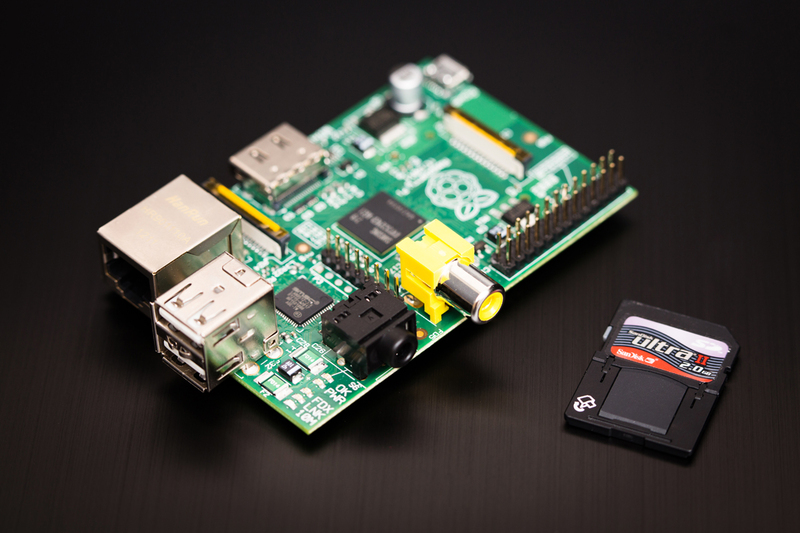 In this post, I’ll describe my Rpi SSH server configuration. The media center Rpi is also interesting, but I didn’t have to customize many things since OpenELEC is more like an appliance and apart from installing extensions and tweaking the system settings, there’s not so much one needs to do to get up and running (which is good!). I use my Rpi SSH server as a gateway to reach home when I’m outside (on the train over 3G or on some Wi-Fi network). It basically allows me to access anything on my personal network in a secure fashion (more over this after the setup details). The configuration is built on top of ArchLinux and uses OpenSSH (who would’ve guessed ^^). I’ve chosen ArchLinux mainly because I’m already familiar with it, I could also have installed the Debian distribution, I don’t think it would’ve prevented me from doing any of the following..
actually not done yet, I rely on a DHCP reservation for now..
We’re deleting the rootfs partition, and creating a new one. Since there is no space between the boot and the root partition in the first place, the new partition will start at the exact same position as the just deleted partition. This means, we’ve got a bigger partition, with a smaller filesystem in there. Performing an on-line resize of /dev/mmcblk0p2 to 3914752 (4k) blocks. The filesystem on /dev/mmcblk0p2 is now 3914752 blocks long. With that in place, I can now create a secure tunnel from anywhere towards my Raspberry Pi at home and feel “pretty” secure. It may not be so (I’m no security expert), but at least I’ve taken the necessary steps to ensure that only a motivated attacker will be able get in (using that channel that is :p). Once the SSH tunnel is established, I can (for example) use the Raspberry Pi as a socks proxy to surf the Web more securely (e.g., if I’m on a public Wi-Fi hotspot). I can also access any machine within my home network (router, NAS, PCs, etc) and wake them up if they’re not up and running. This means that when I leave home, I can shut down everything and just leave the Raspberry up (3W ain’t gonna kill me :p) and use it to wake up the device(s) I need. I can also transfer files over SFTP, etc. What I also do from time to time is establish a Remote Desktop session towards one of my Windows PCs using port forwarding and it works surprisingly well..